From February through June, we will be highlighting the ways that UW–Madison changes lives for the better throughout the state of Wisconsin. February’s theme is Improving Health. Watch for more at #UWChangesLives on social media. And here’s how you can help. Home to robust populations of ticks and their hosts (namely, mice and deer), Wisconsin has become a hot spot for tick-borne diseases. 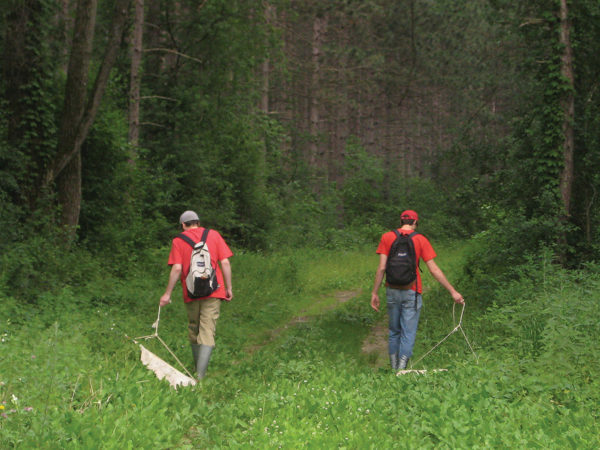 Over the past 25 years, deer ticks have trekked from the northern parts of the state to the south and east. They are now found nearly everywhere, lurking in the backcountry, in the wooded areas of neighborhoods, and even in well-manicured lawns. Wisconsin residents are also encountering more of another well-known pest — mosquitoes. 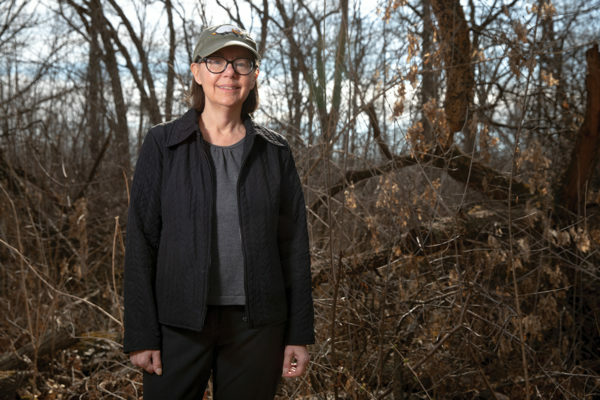 In summer 2017, UW–Madison Professor Susan Paskewitz and her colleagues in entomology trapped 80,000 mosquitoes in Dane County. That’s eight times more than ever observed previously, a sign that their numbers are growing. The Asian tiger mosquito, a species capable of spreading the Zika virus, was found in Wisconsin last year. As mosquitoes and ticks travel into new territory, exposure to the diseases they carry increases. But the good news is, UW–Madison is leading a strong new effort to prevent these diseases from spreading. The Midwest Center of Excellence for Vector-Borne Disease was established at UW–Madison in 2017 with a $10 million grant from the Centers for Disease Control and Prevention to research illnesses transmitted by ticks and mosquitoes (the vectors, in this case) and train new professionals who can stop the diseases from spreading. 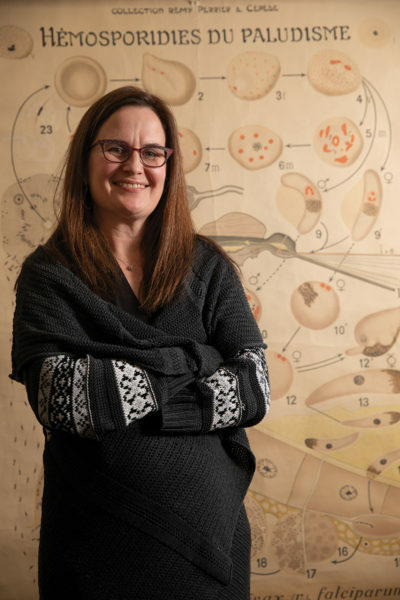 Led by Paskewitz, chair of entomology, and Lyric Bartholomay, associate professor in the UW School of Veterinary Medicine, the center aims to help Wisconsin be better prepared to respond to ongoing cases and stop epidemics before they start. The investment will allow researchers and public health officials to keep a close watch on a number of pathogens transmitted by ticks and mosquitoes. Lyme disease is the most prevalent tick-borne disease in Wisconsin, with almost 1,500 confirmed cases in 2016 (and many cases go unreported). One main objective of the new center is to spur collaboration among various sectors — academia, industry, and public health — to improve vector surveillance, outbreak responses, and prevention efforts. The center’s many partners, including universities, public health departments, clinics, and mosquito control districts, can be found in Illinois, Iowa, Michigan, and Minnesota. The collaborators work together closely, communicating and consulting regularly. In addition, the Midwest center is educating new researchers to augment the information and ammunition available for combating vector-borne diseases. Undergraduates, graduate students, and postdocs participate in many different research projects as they work to identify, understand, and fight diseases and vectors. As researchers get an idea of where the ticks live and what pathogens they harbor, they can come up with ways to reduce tick exposure and disease prevalence. Scott Larson, a postdoc with a master’s degree in geography, hopes to develop new maps that show how the risks of diseases differ across Wisconsin. Tick tubes and other control strategies will become tools for public engagement as experts work to inform and involve more people in the center’s work. Larson has held training sessions and meetings with public health departments and homeowners’ associations in various parts of the state. He builds relationships with communities and finds opportunities to include them in the research process. A new app, launched in May, will amplify the public’s role in gathering data and developing prevention methods. Bieneke Bron, a postdoc with the center, developed The Tick App in collaboration with the Northeast Center of Excellence and the UW–Madison Center for Health Enhancement Systems Studies. It asks users questions about their possible exposure to ticks. Bron wants to use this data to determine where people are encountering ticks, which tick species they are running into, and how often tick bites result in disease transmission. Other public outreach methods in the works include new flyers and a center website that will host up-to-date information about vectors and disease prevention. To read more about the center, go here.